Here Kitty Kitty! I love the name of this new two part set from Just For Fun Designs on sale right now for for just $1 each. That’s 67% off! Here Kitty Kitty is a fun kit perfect for those cute pet pictures or photos of your little ones. You can find it all in the Scrap-N-Pieces store HERE. I made a couple of layouts to inspire you. And of course a Freebie too. 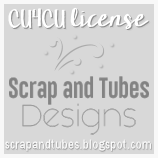 You can find the download link for the Quick Page on the Scrap-N-Pieces Blog HERE..